Food & Health	Asda’s ‘Fight Hunger Create Change’ partnership: what does it mean for efforts to tackle food poverty in the UK? 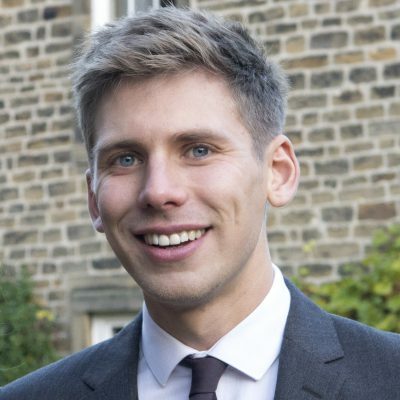 Following the announcement of a new partnership between Asda, FareShare and the Trussell Trust, Lewis Smith reflects on the evolving relationship between charitable food aid and the corporate sector, and asks what impact this might be having on efforts to reduce food poverty in the UK. Are fears over a ‘hunger-industrial complex’ justified, or are there grounds for hope? Last month, Asda announced plans to invest £20 million into two of the UK’s largest food aid charities, FareShare and the Trussell Trust. At a time when an estimated 8.4 million people are living in food insecure households in the UK, the funding could be seen as a much needed intervention. Not everybody, however, has responded with enthusiasm. News of the partnership has prompted fresh questions about the role of charitable food aid in 21st century Britain, and about its links to the corporate sector. Partnerships between food aid charities and supermarkets have become more common and more ambitious in recent years. Permanent collection boxes for The Trussell Trust (which runs the UK’s largest network of food banks) are now a feature of most major stores throughout the country. Efforts to support donations of fresh produce have also become more widespread. Tesco has developed a nationwide surplus food redistribution programme with FareShare, using an app (FareShare-FoodCloud) which enables stores to notify local community groups when food is available. Waitrose has recently undertaken a 12 month trial of the same programme, while other supermarkets have established their own surplus food schemes. In addition, targeted campaigns such as Tesco’s annual Food Collection have generated supplies of food, as well as funding and publicity, for their charity partners. 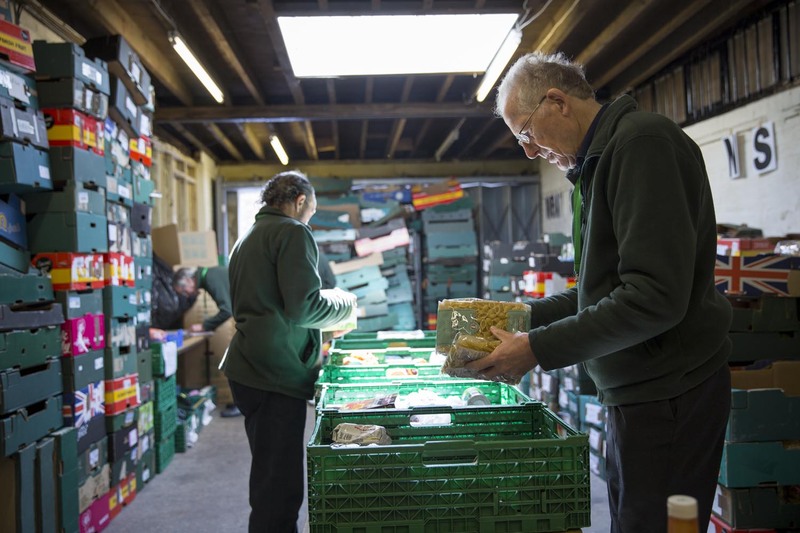 These initiatives, coupled with private donations and the efforts of tens of thousands of volunteers, have made it possible for charities such as the Trussell Trust and FareShare to grow and offer support to people all across the UK. The Trussell Trust now runs over 420 food banks and supplied nearly 1.2 million food parcels in 2016/17. 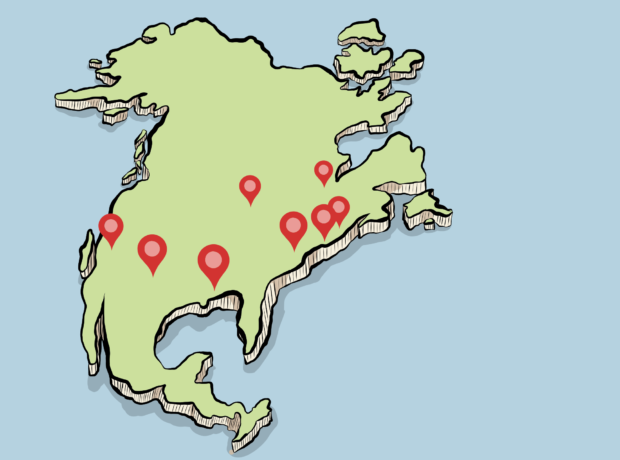 In the same period, FareShare distributed enough food via its 20 regional centres to serve 28.6 million meals. As well as allowing FareShare and The Trussell Trust to serve more meals, Asda’s investment looks set to support significant structural developments. Part of the £20 million funding will be spent on building infrastructure to help the charities transport, store and distribute fresh produce. This would be a major step for the Trussell Trust which, until now, has relied almost entirely on long-life produce. The partnership also commits Asda to ensuring that all of its stores will be able to donate surplus food by 2020. On top of this, the retailer will provide funding to help the Trussell Trust expand its More Than Food services, which include holiday clubs, cookery lessons and debt counselling. Asda’s Chief Customer Officer, Andy Murray, claims that the company’s investment will “revolutionise the support foodbanks in the UK are able to offer people in food poverty”. There are fears, then, that Asda’s investment could actually hinder – rather than help – efforts to create change. In part, as IFAN’s statement highlights, these fears are fuelled by concerns about the limitations of food charity. 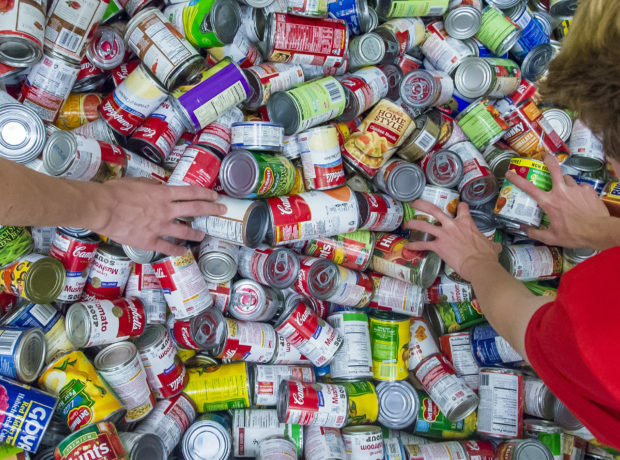 Critics argue that, while food banks and other charitable food initiatives may be able to relieve short term crises, they cannot meaningfully tackle more deep-rooted issues. In this respect, Asda’s investment could be helping to shore up a second-tier safety net which can only scratch the surface of the problem. The Fight Hunger Create Change partnership has clearly been designed to pre-empt these criticisms. Asda’s support for the ‘More Than Food’ initiatives, for example, is an effort to deliver more far-reaching interventions. But even then, in the face of stagnant wages, zero hour contracts, rising food prices, a housing crisis and a government welfare strategy seemingly driven by ‘conscious cruelty’, how much can budgeting advice or cookery lessons really be expected to achieve? Some are worried, then, that food charity is actually part of the problem of food poverty in the UK. There are even more serious concerns, in this respect, about Asda. In its response to Asda’s new partnership with Trussell Trust and FareShare, the Independent Food Aid Network highlight the fact that, at the same time as claiming to tackle hunger through this partnership, Asda is failing to pay many of its own workers a living wage. The statement points to a Citizens UK analysis which found Asda to be employing 120,000 ‘low paid workers’, as well as a glassdoor.co.uk report which suggests many of these employees are actually paid less than the national minimum wage. There are also troubling reports about Asda’s conduct with suppliers, many of whom are equally dependent on the retailer for a living. Last year, Asda was deemed by the Groceries Code Adjudicator to be the least ethical supermarket in terms of its treatment of suppliers. The industry watchdog later accused Asda of “aggressive tactics,” after it found the supermarket to have been demanding upfront payments from suppliers and threatening to remove products from stores at short notice. Similar accusations can be levelled at Tesco, which employs 209,000 low-paid workers according to Citizens UK. At the same time that Tesco was publicly supporting FareShare and The Trussell Trust in the run up to Christmas, the supermarket was paying some of its Christmas temps via Tuxedo, a pre-paid card which costs individuals £9.95 to activate and 50p each time they withdraw money. Tesco has also been criticised for mistreating suppliers, having been found guilty of deliberately delaying payments for its own financial gain, while the retailer is also currently embroiled in a legal battle over disparities in pay between male and female workers. This latest dispute could end up costing the firm £4bn. If Asda, Tesco and other major food retailers are truly committed to ‘fighting hunger’ and ‘creating change’, would they not do better to re-assess their own practices before making a high profile charity donation? Or is the point that these partnerships are actually a way of avoiding such change? Critics such as Graham Riches and Martin Caraher argue that, rather than actually wanting to ‘fight hunger’ or ‘create change’, supermarkets use partnerships with food poverty charities to improve their image – to say they’ve done their bit – while at the same time continuing to pursue destructive buying policies, aggressive trade relations and exploitative labour practices that are causing problems further down the line. By entering into a partnership with Asda, FareShare and Trussell Trust could be seen to be giving the retailer a ‘get out of jail free’ card; legitimising Asda’s claims to care whilst allowing the retailer to deflect criticism, avoid change and protect its bottom line. Past the point of no return? Or still grounds for hope? Given the scale and nature of Asda’s partnership with FareShare and The Trussell Trust, some view it as a major step down this route. Sabine Goodwin, a lead figure in IFAN, reacted to news of the link-up by remarking on Twitter: “a quick look at what’s happened in the United States and Canada can tell you there’s no going back now. Food banking is here to stay”. Such comparisons are made all the more enticing by the fact that Asda is owned by US retail giant Walmart – a driving force behind the American food banking phenomenon. Clearly, there are signs that the landscape is shifting in concerning ways. Nevertheless, it is important to recognise that there are still major differences – in terms of context and scale – between the UK and North America. Asda’s £20million donation is substantial, but it is a drop in the ocean compared to the $2.6 billion donated by Walmart in food and cash to American food charities between 2010 and 2015. The UK has not yet reached a stage where, as is the case in the US, food charity bosses are earning huge salaries, where their bonuses are dependent on the amount of food they distribute, or where substantial numbers of food charity board members work for major corporations. There is space, in other words, to turn things around. Another sign that the food aid landscape remains different in the UK is that, to a far greater extent than in North America, charitable food aid and hunger continue to be contentious issues. Even though ‘food bank’ has become a household term in the UK, the phrase still holds political weight. Food banks have become a symbol of injustice and inequality, and they continue to be used by politicians, activists and campaigning organisations as a way of talking about the harm being caused by Universal Credit, benefits sanctions and austerity more broadly. It is also striking that, in a 2015 survey of public perceptions of food banks, 64% of respondents said they were ‘concerned’ or ‘extremely concerned’ about food bank usage. These signs suggest that food banks could still be a political weapon – a subject to mobilise around and a basis to call for change. This is particularly significant at a time when other indicators of poverty, such as out-of-work benefits, attract comparatively less sympathy. If food banks continue to be linked to broader political issues, one thing that deserves further attention is the way in which food banks and charitable other food aid initiatives are actually helping to foster – rather than obstruct – these associations. Beyond the tabards and the tins of beans, The Trussell Trust appears increasingly reluctant to conform to the stereotype of a ‘food charity’. Through its data collection system, the organisation has played a major role in putting hunger on the political agenda. Its statistics have helped to give a sense of the scale of the problem at hand and, even more importantly, have offered insights into the reasons why people are going hungry in 21st century Britain. The charity is also increasingly investing resources into research and advocacy. This ‘third pillar’ of the Trust’s work is largely overlooked, but its recent campaign against the Universal Credit rollout – which included the publication of a report, submitting evidence to the Work and Pensions Commons committee, joining forces with other charities and engaging directly with the Department for Work and Pensions – suggests a growing sophistication in this area. In some ways, it could be said that the more embedded in society the Trussell Trust has become, the more it has been able – and willing – to pursue this campaigning work. 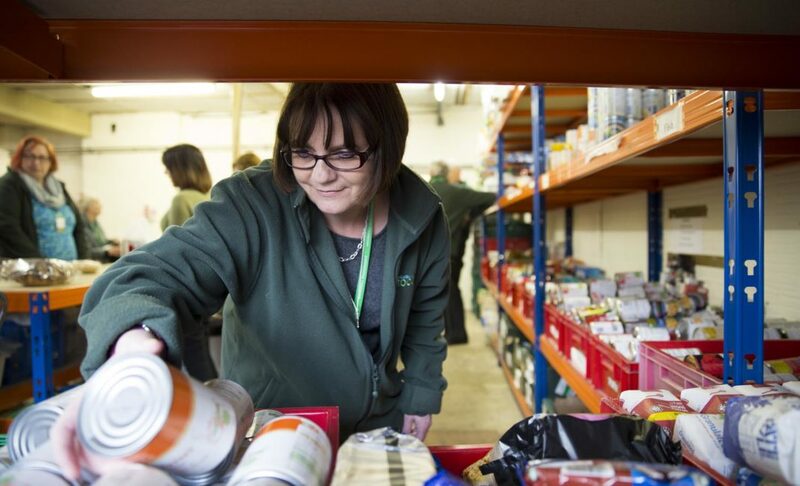 As it has evolved from its parochial roots to a major charity with a nationwide network and 40,000 volunteers, the Trussell Trust has developed the space and the perspective to focus on more than just day-to-day operations. In the process, it has become a key voice on hunger and poverty in the UK. On the day after the announcement of the Trussell Trust’s partnership with Asda, the charity’s Head of Operations, Sam Stapley, insisted in a blog post that the investment will support these campaigning efforts and, in the process, will “bring us closer to ending the need for foodbanks”. 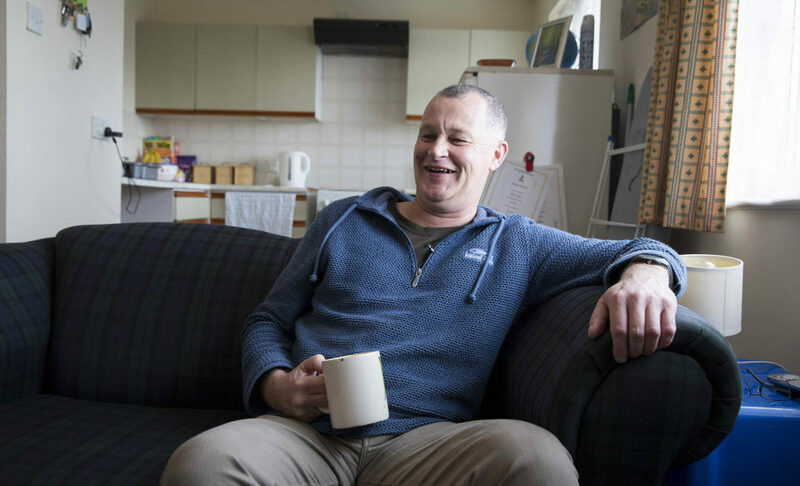 Stapley stressed: “We will continue to unwaveringly speak truth to power, gathering robust evidence and raising awareness of the lived experience of people in poverty, so we can tackle the root causes of hunger in the long term”. Some would argue that if the charity was really committed to ‘speaking truth to power’, it would have refused to deal with Asda while the retailer was underpaying its staff. On the other hand, any charity will say that the biggest obstacle to carrying out effective advocacy is a lack of resources. If this additional funding makes it possible for the Trussell Trust to ramp up its lobbying efforts, carry out more research and train more of its members to campaign on a local level, there are ways in which it could actually have positive ramifications for efforts to tackle food poverty. At the very least, there is an inherent ambiguity that deserves to be recognised. 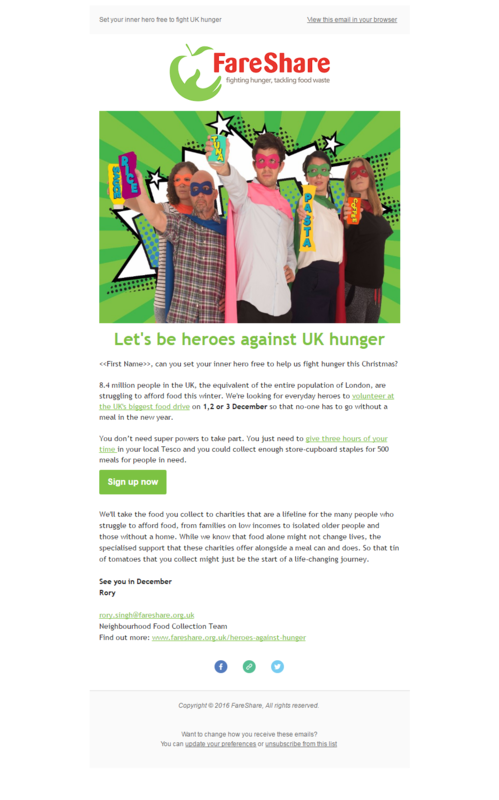 There are perhaps more questions to be asked of FareShare, who have been largely silent on broader political issues, and whose tendency towards celebratory rhetoric (the charity regularly uses slogans such as ‘be heroes against hunger’) is problematic on a number of levels. Whether FareShare’s involvement in the End Hunger campaign is enough to compensate for its lack of advocacy work elsewhere is another matter (and whether its partnership with Asda will affect the unity of the End Hunger movement is another matter again, particularly in light of IFAN’s fierce criticism). But it does serve as further evidence of the fact that, within the charitable food aid sector as a whole, there is an awareness that handing out food parcels isn’t the answer to food poverty. Many organisations – and their volunteers on the frontline – are frustrated about the weight of expectations being placed on their shoulders. They are angry about the broader political climate; about Universal Credit; about benefits sanctions; about a Conservative-led government that has taken it upon itself to systematically exacerbate hunger and poverty over the last seven years. Their work in food banks and community kitchens, where they are exposed to injustice on a daily basis, is a grounding for such concerns, not a contradiction to them. There are signs that The Trussell Trust and other food aid organisations are trying to harness these frustrations into a call for change. If they can continue to do so, and encourage others to add their voice, they could yet play an important role in building a movement that forces a more systemic intervention. Perhaps, then, there are still grounds for hope. That is not to say that we should be optimistic. There are valid questions to be asked about the impact of initiatives such as the Fight Hunger Create Change partnership; about the effectiveness of food charity in tackling food poverty and about the motives of corporate partners. And it is right that we should look at ‘experience elsewhere’ and consider warning signs when we see them. But if we simply dismiss the Fight Hunger Create Change partnership as the latest step on an inevitable path towards a ‘hunger-industrial complex’, we risk overlooking the fact that many organisations and volunteers within the charitable food aid sector are refusing to conform to stereotype and are actively campaigning for change. We risk ignoring the continued potential of food banks to evoke public anger. We risk ignoring that there is still space to turn things around.